Although we may be awestruck by their greatness and humbled by their deeds, learning about the lives of tzaddikim, and especially contemporary ones, serves as a guide for our own lives. The ten year memorial evening for late Chief Rabbi, Chief Rabbinic Court Judge and Rosh Yeshiva (Dean) of Merkaz Harav, Rabbi Avraham Elkana Cahane Shapira zts"l, was held at the Ramada Hotel recently in an auditorium with standing room only, both in the men's and women's section. 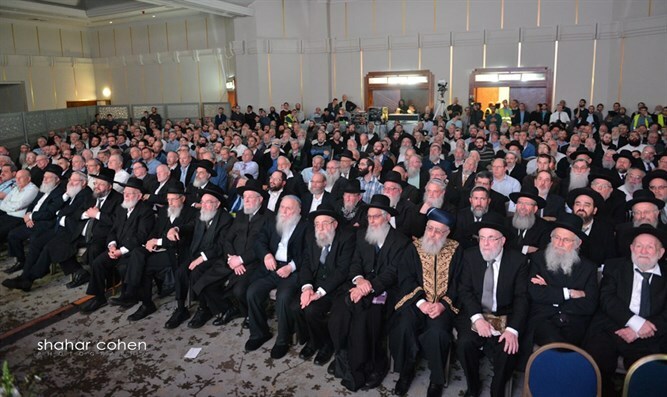 The audience of 1500 included Chief Rabbi Yitzchak Yosef, Head of Bnai Akiva educational network - Rabbi Chaim Drukman, Chief Rabbi of Ramat Gan - Rabbi Yaakov Ariel, Rosh Yeshiva of Beit El - Rabbi Zalman Baruch Melamed, RoshYeshiva of Merkaz Harav - his son Rabbi Yaakov Shapira, Rosh Yeshiva of Har Etzion - Rabbi Yaakov Medan, former Chief Rabbi Yisrael Meir Lau, Chief Rabbi of Tzfat - Rabbi Shmuel Eliyahu and many other yeshiva deans, rabbinic court judges and renowned rabbis. Also present were Education Minister Naphtali Bennett, Deputy Defense Minister Eli Ben Dahan, Jerusalem Mayor Nir Barkat, Deputy Mayor Chagit Moshe, MKs Shuli Mualem, Moti Yogev, Bezalel Smotrich, Nissan Slomiansky, leading Israeli figures and people who loved him from all over the country. Prime Minister Netanyahu sent a filmed message. Popular religious Israeli singers Aharon Raziel and Yishai Ribo performed, both saying that they had never performed before such an august rabbinic assembly, and visibly moved speakers recounted their memories, some of which are brought in the article below. The memorial evening also included an uplifting video clip about Rav Avrum. Arutz Sheva has translated it into English so that English-speaking readers in Israel and overseas can learn about the great Religious Zionist Torah luminary and intrepid leader..
Who was Rabbi Avraham Shapira zts"l? "Has he come yet, Avrum? Did you see him?" – referring, of course, to the Mashiach (Messiah heralding the Redemption). Perhaps growing up in an environment so suffused with faith in the Almighty gave Reb Avrum (as everyone called him) the confidence to be a rabbi and leader who sticks by his principles, whether popular or not. As his granddaughter once told me during the battle for Gush Katif when he was attacked virulently by the left, the press, government figures and even some of the right for telling IDF soldiers to refuse to obey orders to expel Jews from their homes, "My grandfather fears only G-d."
What makes a person a tzaddik, recognized by everyone? There is no question that Rav Avrum was a genius, a Talmudic and halakhic luminary. He studied in the original Chevron (Slobodka) Yeshiva where he was an object of awe because of his briliance, publishing his first serious halakhic work at 20 and able to recite entire books by heart. Students recalled how he was so short, he had to climb a ladder to reach works in the yeshiva library, but would become absorbed in the book he found and stand there, reading on the ladder for hours. When the Chazon Ish zts"l came to the yeshiva and all the students went out to greet him, he berated Rav Avrum, then a young man but known as an iluy, Torah genius, for stopping his learning to join them. It is no wonder he was known as "a walking Sefer Torah," continuing the tradition of the profound Saturday night "Ktsot" shiur (lecture) that took place in his home and was attended by outstanding students, until he was hospitalized shortly before he passed away. Rav Avrum, who followed the teachings of Religious Zionism's iconic founder Rav Avraham Yitzchak Hacohen Kook zts"l, eventually acceded to Rav Tzvi Yehuda Kook zts"l's request to come to the flagship Religious Zionist Yeshiva, Merkaz Harav, founded by his late father Upon the passing of Rav Tzvi Yehuda Kook In 1982, Rav Avrum became the head of Yeshivat Merkaz Harav. He also became head of the Jerusalem Rabbinic Court after Rav Shalom Elyashiv zts"l, supported by Rabbi Isaac Herzog, requested that he take the position. Later, he was appointed head of Israel's Supreme Religious Court. When the Chazon Ish zts"l came to the yeshiva and all the students went out to greet him, he berated Rav Avrum, then a young man but known as an iluy, Torah genius, for stopping his learning to join them. Rav Avrum and his wife Penina (may she live and be well) lived in humble circumstances. 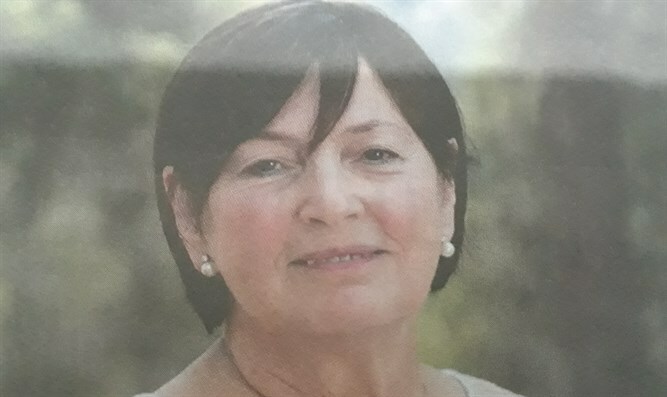 The Rebbetzin saw to it that even while their four rambunctious sons (including a set of twins) were young, her husband could devote himself to study. She watched devotedly over his health, and when the National Religious Party leaders came to convince him to run for the Chief Rabbinate – only to hear him try in vain to convince them to extend the terms of his predecessor instead, until they explained that it could not be done – she spent election day at the Western Wall praying he not be chosen for the position that would put him in the political and secular limelight in addition to that of the Torah world. Rav Avrum's ten year term as Ashkenazi Chief Rabbi was marked by a wonderful friendship with the Sephardi Chief Rabbi, Rishon Letzion Rav Mordechai Eliyahu ztz"l. The exercise of wise but unbending leadership made the Chief Rabbinate a venue for consultations. Religious and secular IDF commanders, government ministers and others would come to request Rav Avrum's sage advice, while his clear halakhic decisions on important national matters such as heart transplants in Israeli hospitals, recognizing Ethiopian immigrants as Jews and "land for peace" strengthened the status of the Chief Rabbinate. 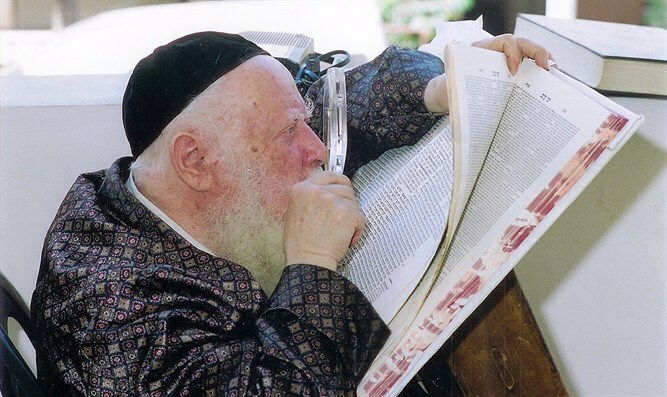 His Torah brilliance and years of serving together on the rabbinic courts led to his gaining the respect and affection of haredi rabbis and rabbinic judges, among them Rabbi Ovadia Yosef zts"l, who came to the yeshiva to eulogize him after Rav Avrum's passing. Religious Zionists remember Rav Avrum, despite his advanced age, going down to the Negev to join the anti-Disengagement protest at Kfar Maimon – where his fear of bloodshed between Jews (now known to be well-founded) caused him to veto the plan to break out of the fenced in area in which the protestors were held while the IDF guarded outside. His concern for the well being of the residents after the tragic expulsion caused him much distress, the various plans for continued surrender of land leading to his public pronouncements against what he termed a transgression as well as egregious folly. In his day to day life, Rav Avrum was loved for his radiant smile and twinkling eyes, warmth and caring, sense of humor and common sense. On Friday nights, Rav Avrum danced around the Shabbat table with the family singing Shalom Aleichem to a special tune, and individually blessed each and every family member present. At the seder, he rose for Eliyahu singing "Baruch Haba" - welcome - and closed that part of the seder singing "Ki besimcha tetzeu - take leave with joy." He would throw nuts at the children and ask them questions to keep them interested in the Haggada. In order to be sure the women in the family heard the Megillah properly, he would read it for them every year on Purim after their husbands returned from shul and could take over childcare. Who can forget Rav Avrum, in his late eighties and early nineties, pounding on the lectern when he read Haman's name, and the expressive way in which he read the verses? At the wedding of his eldest granddaughter, in the year 2000, every well known rabbi in Israel crowded around him at the end of the chuppah, at which he officiated outdoors. Rav Avrum began ascending the stairs to the hall, surrounded by well wishers, when suddenly he stopped and did an about face, saying "I have to say mazel tov to my wife!" Returning down the stairs amid the crowd to look for her, he took both her hands in his and exclaimed glowingly: Mazel tov Rebbetzin! Mazel tov! Hundreds watched the great rabbi show them what a Jewish marriage can and should be. A childless couple came to him for advice many years ago, before the modern advances in the field of fertility. They were using the ovulation monitoring method and their optimum time to conceive that month was expected to be Yom Kippur, when marital relations are forbidden. Rav Avrum's sympathy was palpable and his briliant advice was completely out-of-the-box. He told them to fly to Australia where Yom Kippur does not fall on the same day it does in Israel - they did so and their first child was born nine months later! His spirituality radiated to all those around him. Every year, Rav Avrum led the Neila prayer on Yom Kippur at the yeshiva. Fasting, even in his nineties, shoeless so he could bless the congregation with the other Kohanim (priests), his powerful voice rose in supplication until it reached the Heavens. Hundreds of yeshiva students would accompany him home singing "Mar'e Kohen" (song about how the High Priest looked in the Temple on the holy day) and then he would wait to eat for almost an hour – a stringency for those who follow Rabbeinu Tam – but when we were invited to break the fast with him during his last years, he remembered to tell Rebbetzin Penina not to make us wait, but also not to give my husband sweets as he was a diabetic. And in his last moments, at Shaarei Tzedek hospital, he worried not about himself, but about the yeshiva, asking anxiously about its welfare - but also murmuring the words "a good name, a good name." In Ethics of the Fathers, Rabbi Shimon cites three crowns – that of leadership, that of Torah and that of the Priesthood, with the fourth crown of "a good name" rising above them all. Rav Avrum, Torah luminary, Religious Zionist leader and exalted kohen, possessed all three crowns, and all three joined together to form the crown of his "good name." May his memory live on as a blessing.